POINT LOOKOUT, MO. — On Friday, Sept. 22, 2017, College of the Ozarks will be hosting the Military Vehicle Preservation Association (MVPA) as part of their 91st Anniversary Convoy. In honor of the Convoy’s 91st anniversary, the historic vehicles will be set up in the Ralph Foster Museum parking lot from 9:30 a.m. to 2 p.m. for guests to enjoy, and the museum will be offering complimentary admission to guests on the day of the event. The Convoy will have approximately 65 historic military vehicles (HMVs) that will retrace the original 1926 Route 66 which begins in Chicago, Illinois, and travels through Missouri, Kansas, Oklahoma, Texas, New Mexico, Arizona, and ends in California. Their journey covers a total of 2,448 miles. The College is pleased to partner with the MVPA to honor our Veterans. For additional information, contact Public Relations Director Valorie Coleman, at (417) 690-2212. BRANSON, Mo. –Branson’s 67th Annual Adoration Celebration and Parade took place on Sunday, December 6, 2015 in Downtown Branson. Thirty-One community organizations/businesses along with seventeen high school marching bands made their way down South Sycamore Street in Downtown Branson and proceeded on Main Street to the Branson Landing Boulevard past the Adoration Parade Grandstands to the Belk parking lot and across the Branson Landing boardwalk to perform in front of the crowd at the Branson Landing fountains. We would like to thank our band judges John Casebourn, Bob Smither and Jim Lanning for judging our seventeen bands and our float judges Bruce Gerlock, Rex Wood and Robert Sindorf for judging our thirty one floats. The Spirit of Christmas Adoration Award is awarded by the Adoration Parade committee to the organization that exemplifies the true spirit of the Adoration Celebration. This year’s winner of the Spirit of Christmas Adoration Award is Myer Hotels. The Adoration Parade Committee would like to thank the community for their support in continuing the tradition of celebrating the true meaning of Christmas and Keeping Christ in Christmas for over 67 years. We look forward to seeing you next year on Sunday, December 4, 2016 for Branson’s 68th Annual Adoration Celebration and Parade. 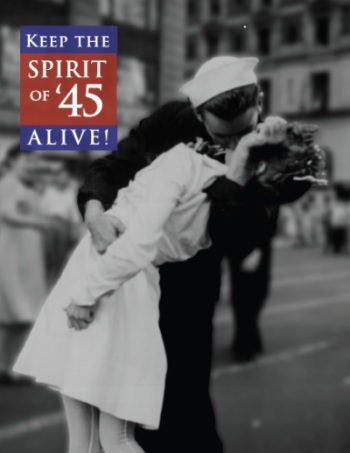 The life-size statue, based on the iconic picture of the legendary photo of a sailor kissing a New York nurse in Times Square following the announcement that WWII had ended, will make its way to College of the Ozarks September 3 for display. The Keeter Center at College of the Ozarks will showcase the statue, called “The Kiss,” in its lobby for a limited time. The public is welcome to visit the statue Monday-Saturday 8 a.m.-8 p.m. and Sunday 8 a.m.-6 p.m. free of charge and may also visit the “Lest We Forget” exhibit, featuring WWII artifacts and memorabilia and photographs chronicling College of the Ozarks students accompanying WWII veterans to European and Pacific battle sites, in its gallery during the same hours at no cost. “The Kiss” statue is a project of “Keep the Spirit of ’45 Alive,” a non-profit organization that seeks to preserve the legacy of men and women of The Greatest Generation and help inspire a renewal of national unity in America. As part of its five-fold mission, College of the Ozarks has the patriotic goal of encouraging in students an understanding of American heritage, civic responsibilities, love of country and willingness to defend it. College of the Ozarks Ralph Foster Museum will host an exhibit celebrating the 100th Anniversary of the Girl Scouts. The exhibit will focus on the history of the Girl Scouts in the Ozarks region. 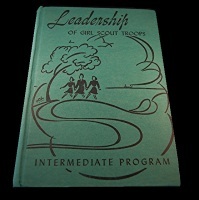 The Ralph Foster Museum is currently seeking loaner Girl Scout memorabilia such as scouting uniforms, badges, photos and stories relating to the Girl Scouts, Brownies or Daisies. The exhibit will open March 12, 2012 and will run through October 2012 in the Edwards Art Gallery of the Museum. For more information about the exhibit or about loaning memorabilia, please contact Annette Sain at the Ralph Foster Museum at (417) 690-3407 or sain@cofo.edu. Eighteen College of the Ozark students accompanied by six WWII Veterans, will travel abroad to France, Belgium, Luxembourg and Germany. The trip, which will last from June 2-16, will provide students with the experience of a lifetime, as the Veteran’s guide them through the lands where they once fought. The six Veterans going on the trip served in either the battles of D-Day, Berlin, or the Battle of the Bulge. Of the Veterans John Primerano, Lou Rabesa and Andy Anderson will be traveling with C of O students for the first time and will join returning Veterans Bill Kamsler, Bryan Sperry and Ned Knapp. While in Normandy, the students and Veterans will have an in-depth visit to the Normandy American Cemetery, where they will attend the official commemorations of the 67th anniversary of the D-Day landings. In Berlin, they will tour the Allied Museum in the former Headquarters of the American Forces, which commemorates the generations of soldiers and their families who protected Berlin during the Berlin Airlift. The last evening of the trip, the group will visit the site where Germany finally surrendered on May 9, 1945, which is now known as the German-Russian Museum. This trip is part of College of the Ozarks Patriotic Education Travel Program, whose mission is to educate younger generations about the sacrifices of American soldiers so that their stories will never be forgotten. Since the program’s beginning in 2009, more than 100 students have escorted WWII Veterans to battlefields and American cemeteries in England, France, Germany, Belgium, Tunisia, The Netherlands, Okinawa, Iwo Jima and Hawaii. For more information on the Patriotic Education Travel Program, contact The Keeter Center for Character Education at 417-690-2242. Nearly 100 flags wave in a gentle breeze as residents and visitors drive along the Avenue of Freedom on Gretna Road. For more than ten years, the flags have welcomed veterans and reminded all Americans of the sacrifices of those who protected our freedoms. If you ever took a moment to reflect on the beauty and symbolism of the Avenue of Freedom, I’m sure you mentally said a “thank you” to our active duty military and a “welcome home” to our veterans. Today the Avenue of Freedom needs your help. Recent storms have destroyed most of the flags and poles, leaving the beautiful drive bare. Our visitors miss the outward proof that Branson is a town committed to America and those who have so proudly served. The Branson Veterans Task Force no longer has the funding to revive this meaningful tradition. We’re asking for your help – our residents, businesses and visitors. We would love to have new flags in place for the summer season – in time for Flag Day (June 14) and the 4th of July. We’d even rush to get them up for part of Memorial Day weekend if we have the funds. Make a donation, take up a collection at the office or talk to your friends and family. If someone would like to make a donation but can’t take it to one of the above locations, call the Branson Veterans Task Force office at 417-337-8387. Together let’s beautify our city, welcome our military and veterans, and promote our American patriotism! A collection of century-old photos of Ozark people and scenes called “Ozark Light”—on loan from the Missouri State Archives—will be displayed through Jan. 22 at the White River Valley Historical Society Museum, 297 Main St. in Forsyth, across from the Taney County Courthouse. The photos were taken by Charles Elliott Gill with a 1906 Sears, Roebuck and Co. camera. Also, help is needed to identify people in some of the “mystery pictures” on display. The museum is open 10 a.m. to 4 p.m. Monday through Friday and noon to 4 p.m. Saturday. Call 417-546-2210.